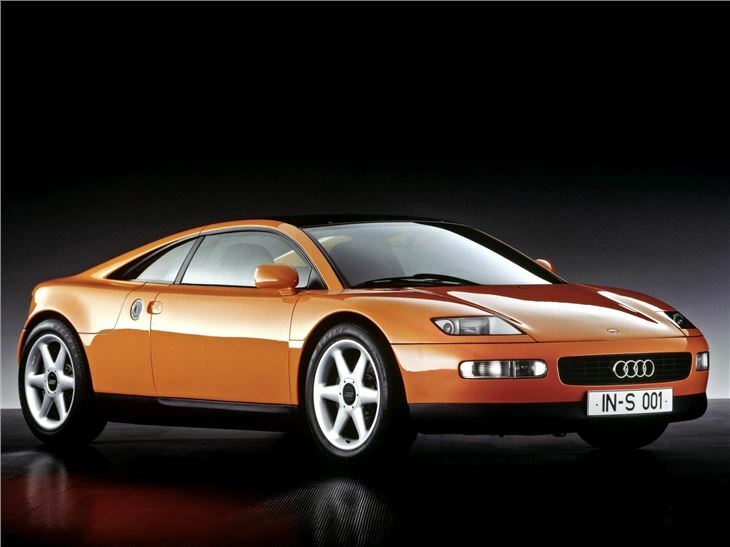 The Audi Quattro Spyder concept wasn't really a concept at all. 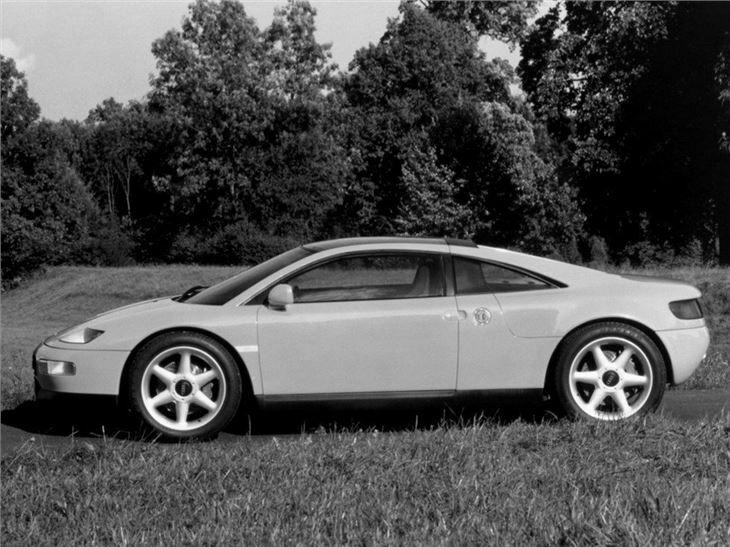 It was a rolling test-bed of ideas for a future mid-engined sports car, built specifically with production in mind. Which might explain why when it was first show at the Frankfurt Motor Show in 1991, it had buyers reaching for their chequebooks. 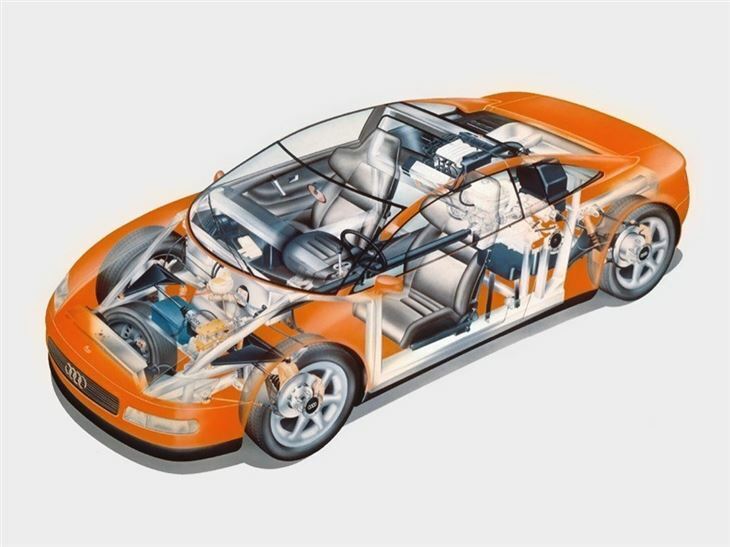 In terms of engineering, the Quattro Spyder was relatively straightforward. 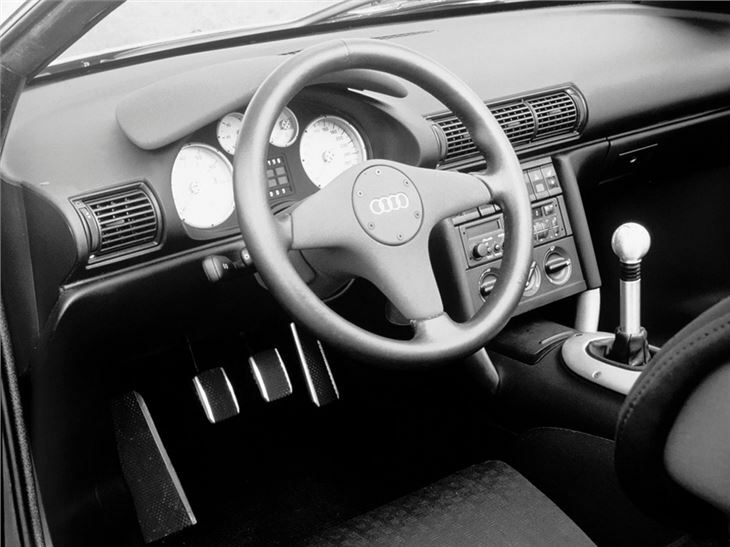 Power was by the Audi 100's new 2.8-litre V6, and the transmission was a modified version of the quattro's all-wheel drive layout, meaning it would be unique on the market at the time for being a mid-engined 4x4. As for the body and chassis, it was a tubular steel affair, clad in aluminium panels, predicting Audi's subsequent obsession with the lightweight material. The suspension setup featured trapezoidal links, which would late underpin the hugely important A4 range - and in this application resulted in great grip and poise during testing. 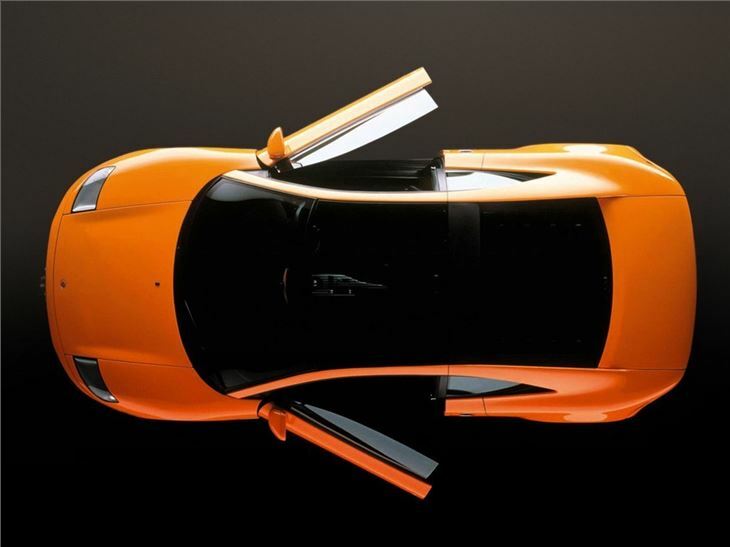 There were lift-out targa panels and the doors were conventionally hinged. 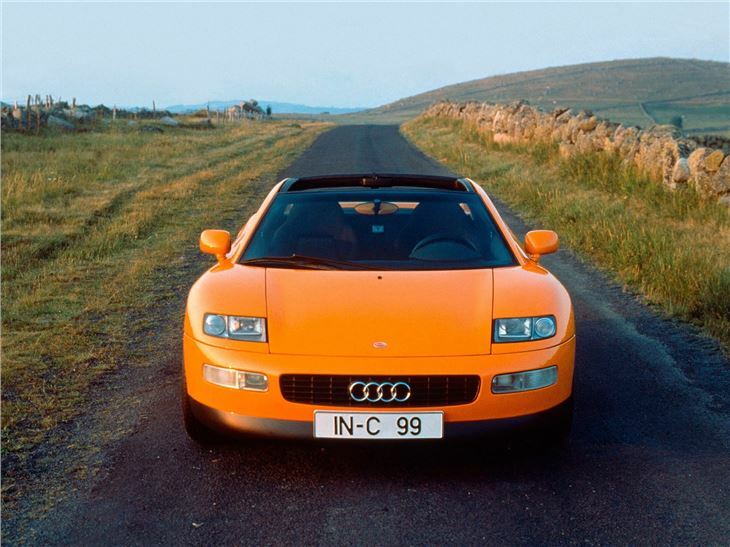 In short, it was entirely production-feasable, introducing much of the aluminium technology that would become an Audi mainstay. 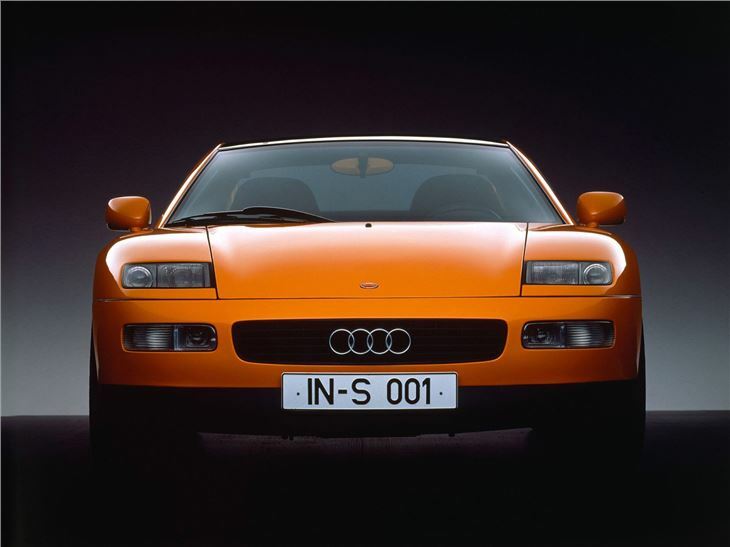 When it was introduced - as a concept - to the public at the 1991 Frankfurt Motor Show, the Quattro Spyder received rave reviews from the press, with many journalists assuming that this was a preview for an upcoming production car. Buyers were smitten, too, with many attempting to place deposits at their local dealers. 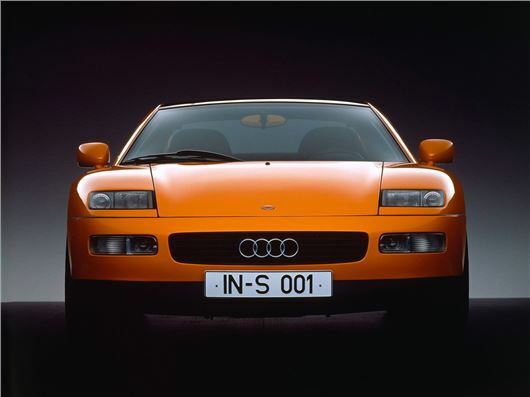 We had a close look at the Quattro Spyder at Essen in 2011, on the car's 20th birthday, and came away with the lingering impression that it really did have the appeal to win sales in the mid-1990s sports car sector. 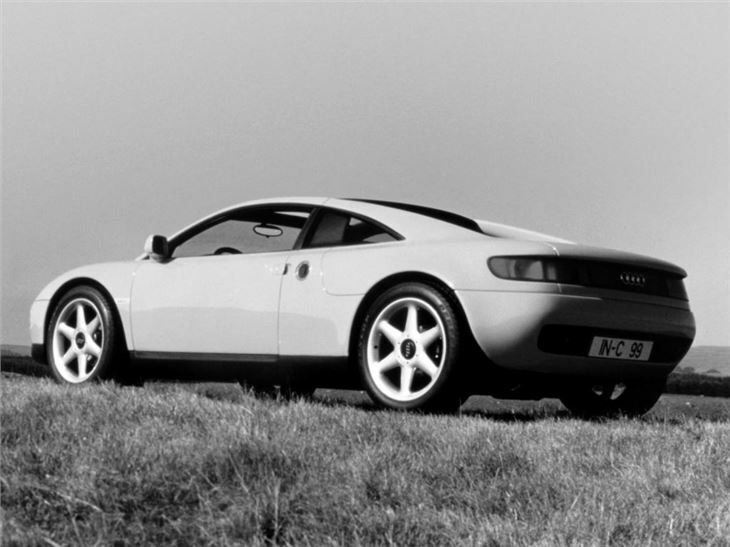 Its proportions and stance looked spot on, and the styling, although lacking in a clearly identifiable front end (something Audi would truly nail in the 21st century) was timeless and worked well. Weeks later, the Spyder's big brother made its dramatic first appearance at the Tokyo Motor Show, and would soon end up overshadowing the pretty original. The Avus (above), with its mirror-finish body, mid-mounted W12 engine, and claimed maximum speed of 200mph, was an extreme supercar in tune with the times, and predictably won huge amounts of column inches. But under the skin, it was closely related to the Spyder. 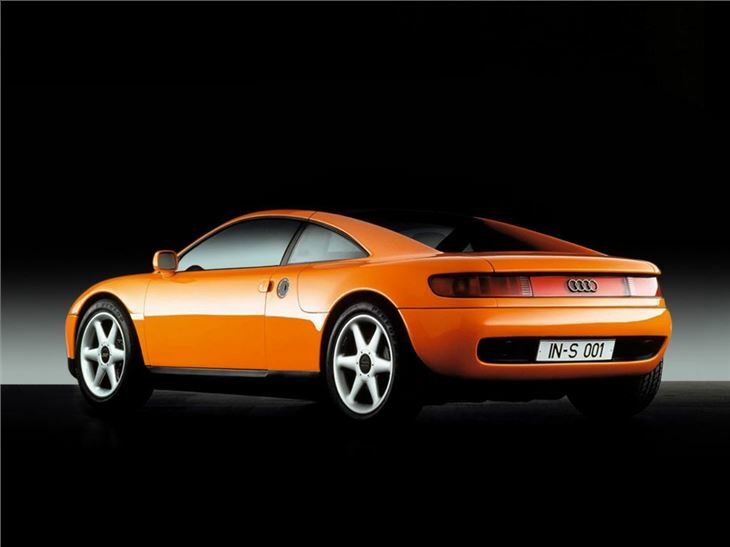 But despite that, it was never mooted for production - as Audi was not yet ready to get into the supercar business. 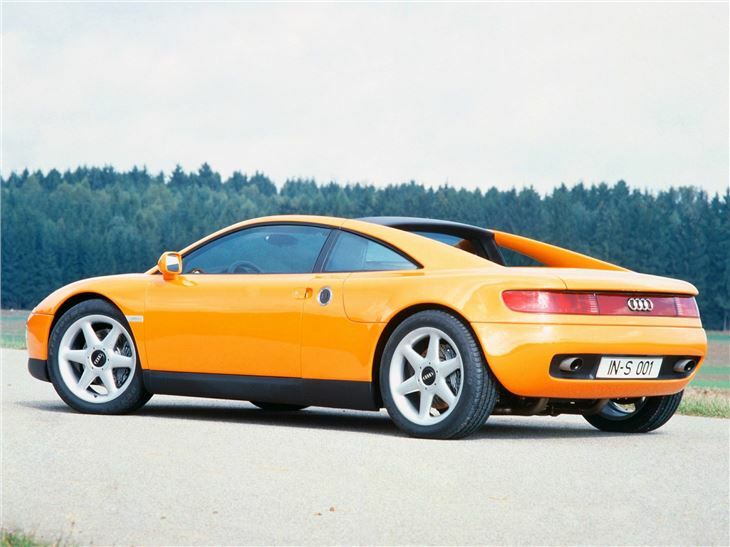 Mind you, that W12 engine concept allied with four-wheel drive would eventually find use in the Bugatti Veyron. 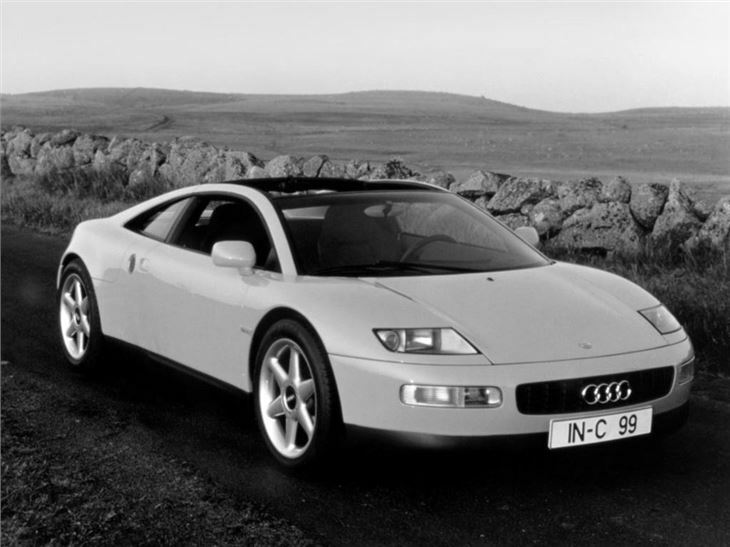 So despite the critical acclaim for the Quattro Spyder, Audi decided not to press ahead with the project. 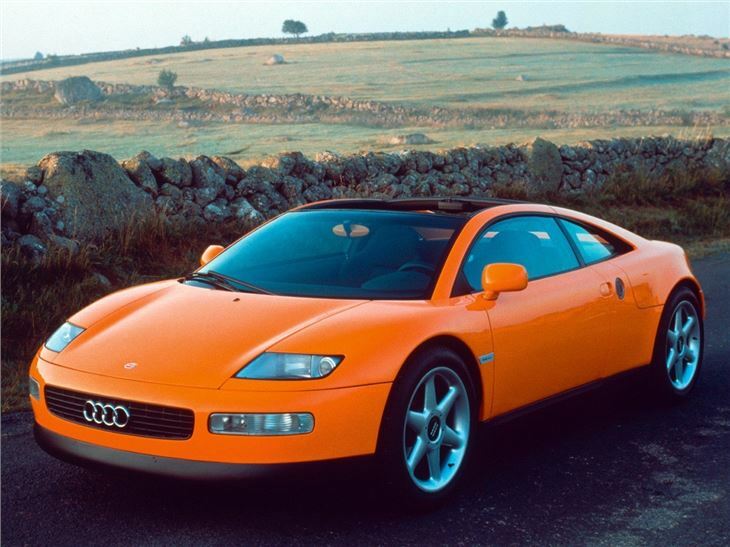 The world economic downturn was the primary motivator in this decision, but the Quattro Spyder would also have been an expensive car to manufacture, and the company wasn't confident that sales would have justifed the expenditure. That downturn ended up not being as severe as the company had featred, by within three years, it was working on the far less compex TT instead - and by then, the gorgeous little Spyder was long dead and buried. As might-have-beens go, the Spyder poses many questions - most potently, could Audi have become the powerhouse it is now years earlier? It's easy to pass judgement with the benefit of two decades' worth of hindsight, but given how 'right' the product looked then - and now - it would appear that the answer could well have been yes.